Brand NEW HEATING AND AC SYSTEM As of 2-28-19! Freshly painted interior and move in ready. 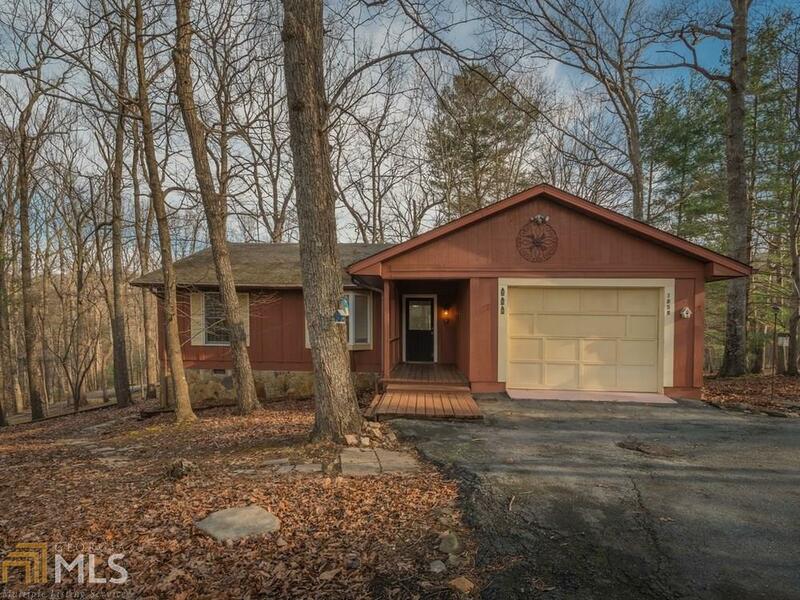 With three bedrooms / 2 full baths, a fireplace and open concept kitchen, living and dining room, as well as a deck and screened porch and 1 car garage, this home offers an attractive floor plan. Enjoy the mountain life in the Beautiful community of Bent Tree. This home is across the street from the Golf Course driving range, the 19th hole golf club and restaurant, it can&apos;t get more convenient. It&apos;s also walking distance to Lake Tamarack and recreation facilities. It&apos;s also walking distance to Lake Tamarack and the playground, pickle ball ct, 2 trails and pavilion. Directions: Hwy 575n To Hwy 515n To Jasper @ Hwy 53 @ Ingles, R @ Church St/Hwy 53, Thru Town To 3rd Lite, L @ Burnt Mtn Rd, R @ 4 Way Stop Onto Cove Rd, Approx. 4 Mi. Lon Bent Tree Dr, Thru Gate Onto Little Pine Mtn Rd, Follow To House Across From 19th Hole On R.